original title is “We Can’t Wish Away Climate Change”. make it easier to undergo the present planetary transition. It would be an enormous relief if the recent attacks on the science of global warming actually indicated that we do not face an unimaginable calamity requiring large-scale, preventive measures to protect human civilization as we know it. Of course, we would still need to deal with the national security risks of our growing dependence on a global oil market dominated by dwindling reserves in the most unstable region of the world, and the economic risks of sending hundreds of billions of dollars a year overseas in return for that oil. And we would still trail China in the race to develop smart grids, fast trains, solar power, wind, geothermal and other renewable sources of energy – the most important sources of new jobs in the 21st century. But what a burden would be lifted! We would no longer have to worry that our grandchildren would one day look back on us as a criminal generation that had selfishly and blithely ignored clear warnings that their fate was in our hands. We could instead celebrate the naysayers who had doggedly persisted in proving that every major National Academy of Sciences report on climate change had simply made a huge mistake. I, for one, genuinely wish that the climate crisis were an illusion. But unfortunately, the reality of the danger we are courting has not been changed by the discovery of at least two mistakes in the thousands of pages of careful scientific work over the last 22 years by the Intergovernmental Panel on Climate Change. In fact, the crisis is still growing because we are continuing to dump 90 million tons of global-warming pollution every 24 hours into the atmosphere – as if it were an open sewer. It is true that the climate panel published a flawed overestimate of the melting rate of debris-covered glaciers in the Himalayas, and used information about the Netherlands provided to it by the government, which was later found to be partly inaccurate. In addition, e-mail messages stolen from the University of East Anglia in Britain showed that scientists besieged by an onslaught of hostile, make-work demands from climate skeptics may not have adequately followed the requirements of the British freedom of information law. But the scientific enterprise will never be completely free of mistakes. What is important is that the overwhelming consensus on global warming remains unchanged. It is also worth noting that the panel’s scientists – acting in good faith on the best information then available to them – probably underestimated the range of sea-level rise in this century, the speed with which the Arctic ice cap is disappearing and the speed with which some of the large glacial flows in Antarctica and Greenland are melting and racing to the sea. Because these and other effects of global warming are distributed globally, they are difficult to identify and interpret in any particular location. For example, January was seen as unusually cold in much of the United States. Yet from a global perspective, it was the second-hottest January since surface temperatures were first measured 130 years ago. Similarly, even though climate deniers have speciously argued for several years that there has been no warming in the last decade, scientists confirmed last month that the last 10 years were the hottest decade since modern records have been kept. The heavy snowfalls this month have been used as fodder for ridicule by those who argue that global warming is a myth, yet scientists have long pointed out that warmer global temperatures have been increasing the rate of evaporation from the oceans, putting significantly more moisture into the atmosphere – thus causing heavier downfalls of both rain and snow in particular regions, including the Northeastern United States. Just as it’s important not to miss the forest for the trees, neither should we miss the climate for the snowstorm. Here is what scientists have found is happening to our climate: man-made global-warming pollution traps heat from the sun and increases atmospheric temperatures. These pollutants – especially carbon dioxide – have been increasing rapidly with the growth in the burning of coal, oil, natural gas and forests, and temperatures have increased over the same period. Almost all of the ice-covered regions of the Earth are melting – and seas are rising. Hurricanes are predicted to grow stronger and more destructive, though their number is expected to decrease. Droughts are getting longer and deeper in many mid-continent regions, even as the severity of flooding increases. The seasonal predictability of rainfall and temperatures is being disrupted, posing serious threats to agriculture. The rate of species extinction is accelerating to dangerous levels. Though there have been impressive efforts by many business leaders, hundreds of millions of individuals and families throughout the world and many national, regional and local governments, our civilization is still failing miserably to slow the rate at which these emissions are increasing – much less reduce them. And in spite of President Obama’s efforts at the Copenhagen climate summit meeting in December, global leaders failed to muster anything more than a decision to “take note” of an intention to act. Because the world still relies on leadership from the United States, the failure by the Senate to pass legislation intended to cap American emissions before the Copenhagen meeting guaranteed that the outcome would fall far short of even the minimum needed to build momentum toward a meaningful solution. The political paralysis that is now so painfully evident in Washington has thus far prevented action by the Senate – not only on climate and energy legislation, but also on health care reform, financial regulatory reform and a host of other pressing issues. This comes with painful costs. China, now the world’s largest and fastest-growing source of global-warming pollution, had privately signaled early last year that if the United States passed meaningful legislation, it would join in serious efforts to produce an effective treaty. When the Senate failed to follow the lead of the House of Representatives, forcing the president to go to Copenhagen without a new law in hand, the Chinese balked. With the two largest polluters refusing to act, the world community was paralyzed. Some analysts attribute the failure to an inherent flaw in the design of the chosen solution – arguing that a cap-and-trade approach is too unwieldy and difficult to put in place. Moreover, these critics add, the financial crisis that began in 2008 shook the world’s confidence in the use of any market-based solution. But there are two big problems with this critique: First, there is no readily apparent alternative that would be any easier politically. It is difficult to imagine a globally harmonized carbon tax or a coordinated multilateral regulatory effort. The flexibility of a global market-based policy – supplemented by regulation and revenue-neutral tax policies – is the option that has by far the best chance of success. The fact that it is extremely difficult does not mean that we should simply give up. Second, we should have no illusions about the difficulty and the time needed to convince the rest of the world to adopt a completely new approach. The lags in the global climate system, including the buildup of heat in the oceans from which it is slowly reintroduced into the atmosphere, means that we can create conditions that make large and destructive consequences inevitable long before their awful manifestations become apparent: the displacement of hundreds of millions of climate refugees, civil unrest, chaos and the collapse of governance in many developing countries, large-scale crop failures and the spread of deadly diseases. It’s important to point out that the United States is not alone in its inaction. Global political paralysis has thus far stymied work not only on climate, but on trade and other pressing issues that require coordinated international action. The reasons for this are primarily economic. The globalization of the economy, coupled with the outsourcing of jobs from industrial countries, has simultaneously heightened fears of further job losses in the industrial world and encouraged rising expectations in emerging economies. The result? Heightened opposition, in both the industrial and developing worlds, to any constraints on the use of carbon-based fuels, which remain our principal source of energy. The decisive victory of democratic capitalism over communism in the 1990s led to a period of philosophical dominance for market economics worldwide and the illusion of a unipolar world. It also led, in the United States, to a hubristic “bubble” of market fundamentalism that encouraged opponents of regulatory constraints to mount an aggressive effort to shift the internal boundary between the democracy sphere and the market sphere. Over time, markets would most efficiently solve most problems, they argued. Laws and regulations interfering with the operations of the market carried a faint odor of the discredited statist adversary we had just defeated. This period of market triumphalism coincided with confirmation by scientists that earlier fears about global warming had been grossly understated. But by then, the political context in which this debate took form was tilted heavily toward the views of market fundamentalists, who fought to weaken existing constraints and scoffed at the possibility that global constraints would be needed to halt the dangerous dumping of global-warming pollution into the atmosphere. Over the years, as the science has become clearer and clearer, some industries and companies whose business plans are dependent on unrestrained pollution of the atmospheric commons have become ever more entrenched. They are ferociously fighting against the mildest regulation – just as tobacco companies blocked constraints on the marketing of cigarettes for four decades after science confirmed the link of cigarettes to diseases of the lung and the heart. Simultaneously, changes in America’s political system – including the replacement of newspapers and magazines by television as the dominant medium of communication – conferred powerful advantages on wealthy advocates of unrestrained markets and weakened advocates of legal and regulatory reforms. Some news media organizations now present showmen masquerading as political thinkers who package hatred and divisiveness as entertainment. And as in times past, that has proved to be a potent drug in the veins of the body politic. Their most consistent theme is to label as “socialist” any proposal to reform exploitive behavior in the marketplace. From the standpoint of governance, what is at stake is our ability to use the rule of law as an instrument of human redemption. After all has been said and so little done, the truth about the climate crisis – inconvenient as ever – must still be faced. The pathway to success is still open, though it tracks the outer boundary of what we are capable of doing. It begins with a choice by the United States to pass a law establishing a cost for global warming pollution. The House of Representatives has already passed legislation, with some Republican support, to take the first halting steps for pricing greenhouse gas emissions. Later this week, Senators John Kerry, Lindsey Graham and Joe Lieberman are expected to present for consideration similar cap-and-trade legislation. I hope that it will place a true cap on carbon emissions and stimulate the rapid development of low-carbon sources of energy. We have overcome existential threats before. Winston Churchill is widely quoted as having said, “Sometimes doing your best is not good enough. Sometimes, you must do what is required.” Now is that time. Public officials must rise to this challenge by doing what is required; and the public must demand that they do so – or must replace them. 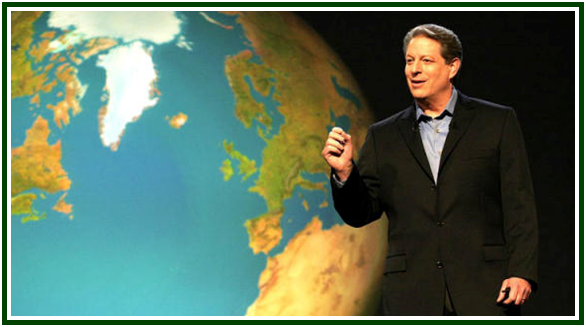 Al Gore was the vice president of the United States from 1993 to 2001. E-Theosophy e-group offers a regular study of the classic, intercultural theosophy taught by Helena P. Blavatsky (photo). Those who want to join E-Theosophy e-group at YahooGroups can do that by visiting https://groups.yahoo.com/neo/groups/E-Theosophy/info.